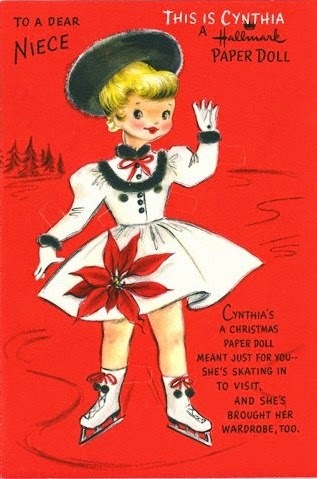 Farm Girl Pink....: More Vintage Holiday goodness... Hallmark Paper Doll Card..
More Vintage Holiday goodness... Hallmark Paper Doll Card..
Hallmark Christmas Card - This is Cynthia! Hallmark Cards have always had a wonderful line of cards for girls. 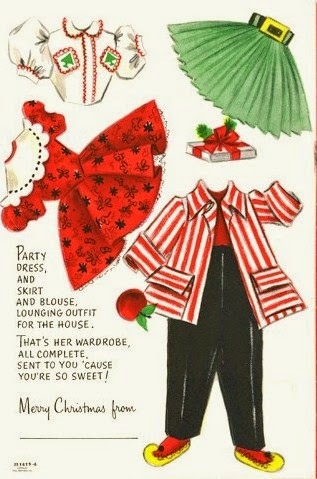 These paper doll cards go back to the 1940's for Hallmark. There were dozens of them issued. Mostly all drawn by Vivian Trillow Smith. 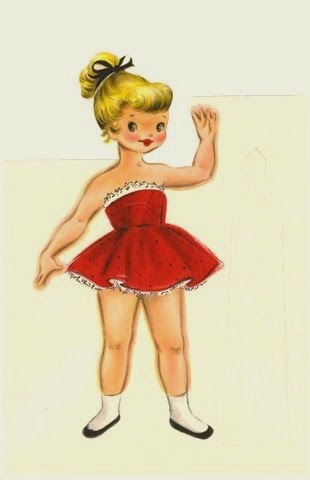 She was responsible for drawing so many gorgeous vintage greeting cards for all occasions. Just lots of pretty cards. This is the second Hallmark paper doll card I posted this season. They are just so festive.